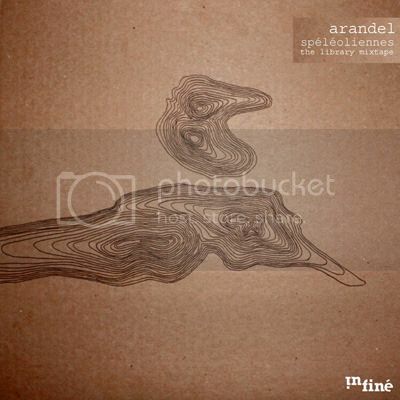 To receive a new mixtape by Arandel in the office is in itself an event. 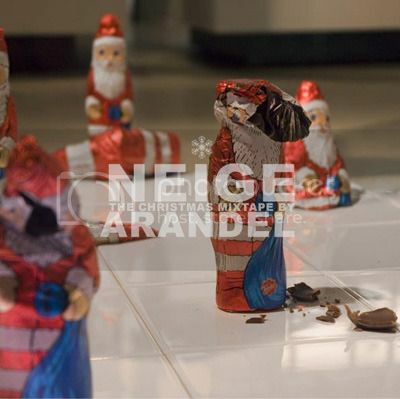 Before the release of In D, Arandel´s collaboration with InFiné starts with an intial mixtape : Carols - The Minuit Mixtape. 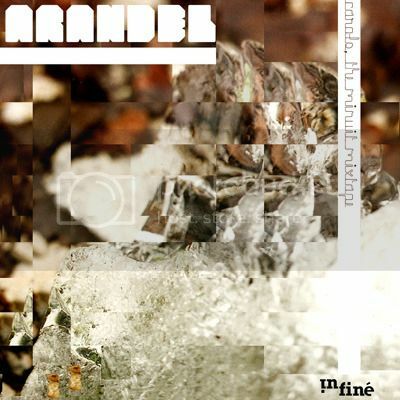 This activity is part of the identity of the project just like their record releases – the podcasts of Arandel are driven by a main thematic and a strong narrative. They follow a strict méthodologie, but leaves place to accidental effects or ghostly voice intrusions. They tell you a story and a piece of history. Sadly most of them had fleeting lives online. Looking for them has become truly rewarding treasure hunt. For Bog Bog - the Electronic Ladyland, we decided to pair up with the French website The Drone, who directed the interview ( vers l´interview en francais) and host the sounds and the words in english on our timeless website. How did the idea of an electronic music mixtape composed entirely by women emerge? We realized that an unconscious feminine electronic music Internationale has existed throughout the ages and we wondered whether a secret intuition might have gathered around shared research. Was their mutual desires achieved differently in different countries, with different tools in different timezones? The idea was to see what would happen if we gathered them in the same fictitious room for 45 minutes, and built a choir from all their productions. 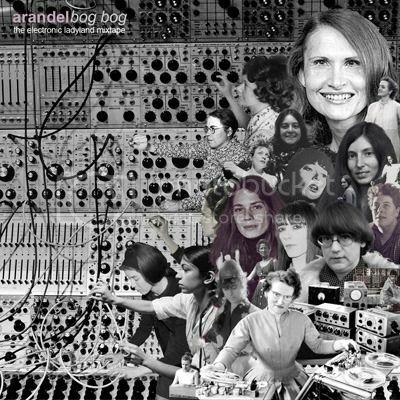 There is an almost magic link between women and electronic music, from the 50’s / 60’s. Have you asked yourself the question of social, artistic, maybe magic reasons behind this link ? Jean-Yves LeLoup wrote an entire article about this that we can read on his blog (in French). But beyond the first trails claimed, we never found convincing explanations or clarifying citations about the composer's journey. We don’t know if they struggled to access studios and achieve the sensibility to their electronic sound. We ask the questions with this mixtape, though we are still unable to answer. We hope that people seize this mixtape and ask themselves these very questions. Musicians in your mix come from very different musical horizons : we find academic learned musicians, research music composers and experimenters who used to do DIY works composed for advertising or television in a pop or easy listening context, some eccentric women like The Space Lady or Ruth White… Nevertheless, do you see a link between those times and attempts ? We spent a year and a half working on this mix. At times there are more than 8 tracks playing at once in harmony. We did a lot of research, revisions and further re-works to get the mixtape to flow as a coherent and consistent piece. It’s difficult to know what ties all these tracks together but they coalesce and provide the mixtape with proper character that may be completely fictional. Are there figures, among the artists in this mix, who have been particularly important in your musical development ? Delia Derbyshire obviously. It is almost a seasonal piece of the electronic feminine composer, which illustrates both a woman composing music in the 60’s and the more emblematic “BBC Radiophonic Workshop” composer.. What she accomplished is fascinating, as is listening to her talk about her interesting work in documentaries. She’s a pioneer that captivates us. Compositional techniques developed on her rudimentary means led to methods that inevitably inspired future producers to treat the studio as a laboratory, much like Arandel’s approach.Technologies like MIDI and the computer made electronic music much easier to make and the consequences of which are not necessarily positive. We have an antiquary fascination with this music with cues from our imagination more so than technology. What link is there between Catherine Christer Hennix’s or Laurie Spiegel’s works and Arandel ? Tape manipulation is real, instrument manipulation is real, the Mellotron is a concrete sample and it’s very inspiring because there are a lot of unheard hidden sounds. It would be a shame and annoying to have all the instruments of the world at our disposal to do whatever we want at any time. 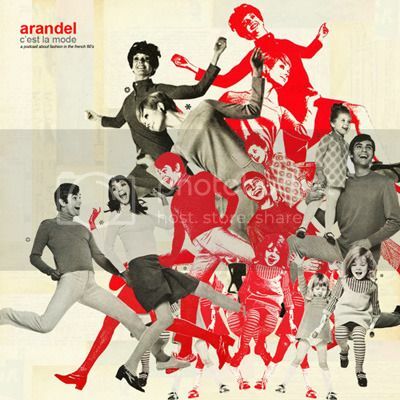 That’s why Arandel set up those constraints : reduce the possibilities to avoid them and find our freedom, like Eno’s Oblique Strategies, Delia Derbyshire or Suzanne Ciani had to get off the beaten track during the creative process, push back at the limits they were taught at school. They composed with a few instruments, few means, and invented new artistic languages. The blast, the mistakes we can hear with our ears used to smooth computer music do not only give charm to those old tracks, but they show a soul that our time lacks of : we clean everything, we fix everything, we correct everything. According to us, a great part of music's soul can be lost through an obsession for perfection. We have been talking about this mix for a while as if it has one theme when in fact it has two : the women composed this music, indeed, but essentially its electronic music from another time. You could have gone back to 11th century German polyphonic music composers or add some techno artists. What did you not do this? We looked for the kind of music that we can find in our attic, which is telling of electronic music's common past. However, because these music come from the past, they did not belong to it, in the sense that a lot of ideas we find in them are still fertile and inspiring for music nowadays, and maybe also for the future. The BBC Radiophonic Workshop Composers often quoted major influences from 90’s artists like Aphex Twin and Luke Vibert, but their music is still mostly unknown to the general public. The essential point here is for discovery. We could have done a thematic mix about stools. Even if it is not sure that the mixtape would have been quite so interesting to listen.